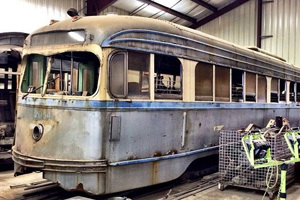 Philadelphia Transportation Co. PCC 2054 was built by St. Louis Car Co. in 1940. In 1978, SEPTA replaced 2054's orange-white-and-blue paint with its original 1940 silver, cream and blue color scheme. After ten years of storage and a final run down Island Avenue during SEPTA's Trolley Fest in 1993, 2054 sat outdoors at Midvale bus garage. 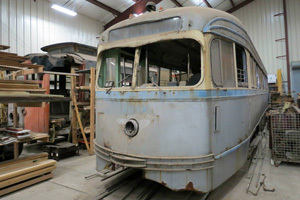 Of two hundred and sixty pre-war "air car" PCC trolleys that served Philadelphia's trolley routes for more than forty years, 2054 is the sole survivor. 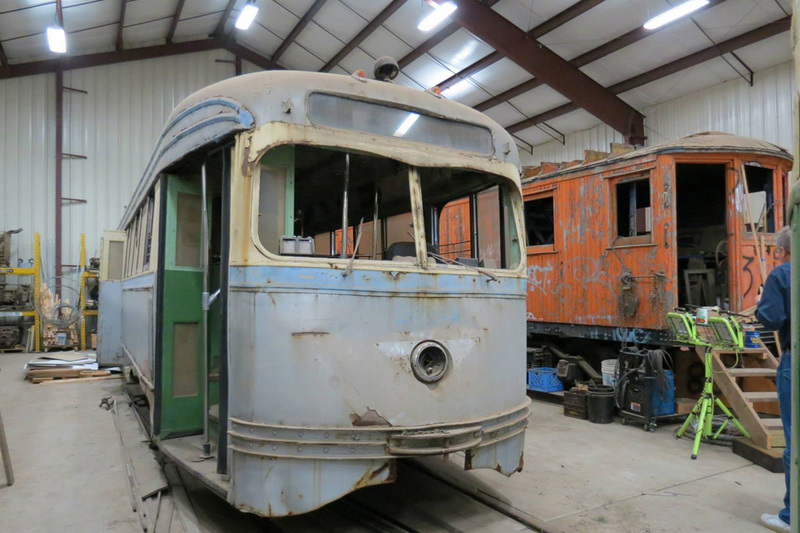 Today 2054 is stored -- thankfully -- indoors at Electric City Trolley Museum in Scranton, PA. There are no plans for restoration at this time.